The cybersecurity field is very broad. It includes many technical and non-technical roles. 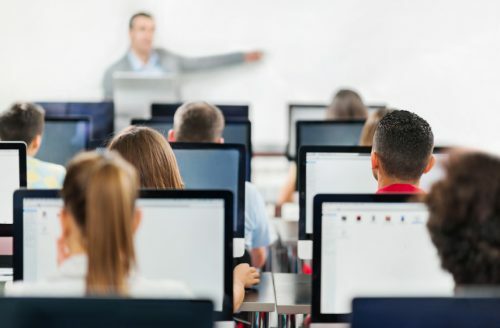 Developing the knowledge, skills and abilities to build a successful career as a cybersecurity professional requires a combination of education in core security fundamentals, specialized skills training and on-going professional development. Anyone can become a cybersecurity professional. Whether you are new to the workforce or transitioning from another career, there is a role for you. The National Institute of Science and Technology (NIST) has released the National Initiative for Cybersecurity Education (NICE) Framework which provides a detailed breakdown of the cybersecurity job categories, roles, and related skills and tasks. The framework organizes cybersecurity work into in seven (7) categories and thirty two (32) specialty areas. The Next Gen Cyber Team actively participates in the NIST NICE Working Group and work to align our workforce development programs with the NICE Framework. Our framework of skills training, career counseling and professional mentorship helps both those new to cybersecurity as well as experienced professionals looking to advance their careers. There are many options available for professional cybersecurity certifications including vendor-specific ones. We have identified just a subset in the section below. For students planning for a career in cybersecurity, many colleges and universities offer related Associates, Bachelors and Masters programs. A degree is a requirement for many employers looking to hire cyber talent. For career changers transitioning from other career paths, a graduate degree related to cybersecurity will prove valuable as it would compliment previous years of professional experience. Many degree programs, however, lack the practical skills development, real world perspective and hands-on skills training required to produce work-ready graduates. Students must therefore begin their own journey of professional development by pursuing additional skills training, career counseling and mentorship. As some of these topics are pretty technical, someone with no or limited IT background might need to first pursue the CompTIA A+ and CompTIA Network + certifications. These entry-level certifications provide a foundation in computing systems and networks. That said, the reality is that passing a certification exam measures your ability to memorize the material. It is important that you also gain hands-on training on topics as well. The online and in-person workshops provided by Next Gen Cyber features practice lab environments where students get to learn real world skills on live environment with real equipment. With a sound grasp of the fundamentals of cybersecurity and 2-4 years of experience, you are ready to specialize. Broadly speaking, cybersecurity roles within an organization can be divided into four main categories: Program Management and Operations, Network and System Services, Information Security and Compliance and Risk Management. There are a lot of training options and an ever growing number of professional certifications to develop skills within each of those categories. Project Management – Skills needed for program management can be gained with the Project Management Institute’s Certified Associate in Project Management (CAPM), Project Management Professional, and Risk Management Professional. Additional training in project management methodologies can be gained with the PRINCE2 Foundation and PRINCE2 Practitioner certifications. IT Operations – Training in best practices for IT service delivery and management can be gained with the Information Technology Infrastructure Library (ITIL) Foundations V3 and Service Operations. Network Engineering – The ComTIA Network+ provides a good start. Additional skills needed for this track can be gained with Cisco’s Certified Entry Networking Technician (CCENT) , Cisco Certified Networking Associate (CCNA), Cisco Certified Design Associate (CCDA) and Cisco Certified Networking Associate -Security (CCNA Security). Systems Engineering – This can be divided into two major tracks. Microsoft – There is a track for those trying to gain skills and expertise in Microsoft Systems Administration and Engineering. This includes the following certifications: Microsoft Technology Associates (MTA), Microsoft Certified System Administrator (MCSA) and Microsoft Certified Systems Engineer (MCSE). These certifications cover multiple topics and technologies. Next Gen Cyber provides a number of related Microsoft training courses. Linux – The CompTIA Linux + provides a good start here. The Linux Professional Institute offers a series of certifications including Linux Server Professional, Linux Network Professional and Linux Enterprise Professional. Cloud Computing – Knowledge of cloud concepts and technologies are increasingly becoming a must-have for systems security professionals today. CompTIA provides related training with its Cloud Essentials and Cloud + certifications. These can be followed up with the Cloud Security Alliance’s Certificate of Cloud Security Knowledge or (ISC)2 Certified Cloud Security Professional (CCSP). Security Management and Engineering – The (ISC)2 System Security Certified Practitioner (SSCP) shows you have the technical skills to implement, monitor and administer IT infrastructure using information security policies and procedures. For for those interested in Federal Government Information Assurance Compliance, the Certified Authorization Professional (CAP) provides the needed skills and certification. Penetration Testing/Ethical Hacking – The EC-Council Certified Ethical Hacker (CEH) is a mid-level certification for those interested in learning methodologies and tools for testing the security of IT systems, networks and applications. Software or Application Security – For those involved in developing software or programming, the (ISC)2 Certified Secure Software Lifecycle Professional (CSSLP) provides training application security and secure software development. IT and Security Audit – Training to perform security audits can be gained with the following certifications: ISACA’s Certified Information Systems Auditor (CISA) and Certified in Risk and Information Systems Control (CRISC). Digital Forensics and Investigations – EC-Councils Certified Hacking Forensics Investigator (CHFI) provided vendor-neutral computer forensics training. The Certified Cyber Forensics Professional (CCFP) from (ISC)2 is another option as well. Privacy – For those interesting in pursuing an information privacy focus, The International Association of Privacy Professionals provides the Certified Information Privacy Professional(CIPP). As experienced cybersecurity professional, continued professional development is very important.The (ISC)2 Certified Information System Security Professional (CISSP) is the premier certification for IT security leadership and operations. The CompTIA Certified Advanced Security Practitioner (CASP) covers technical knowledge and skills needed to design and engineer security solutions. For those in a managerial or non-technical role, an alternative is ISACA’s Certified Information Security Manager (CISM). Building subject matter expertise takes time and dedication. Many of the certifications mentioned required continuing professional education activities to remain certified. Regardless of your specialization, staying abreast of the trends and constant changes in the regulatory and threat landscape is essential. Need Some Help? Fill Out a Career Profile to Connect with a Career Counselor.